Save the date for the best experience you’ll never see. 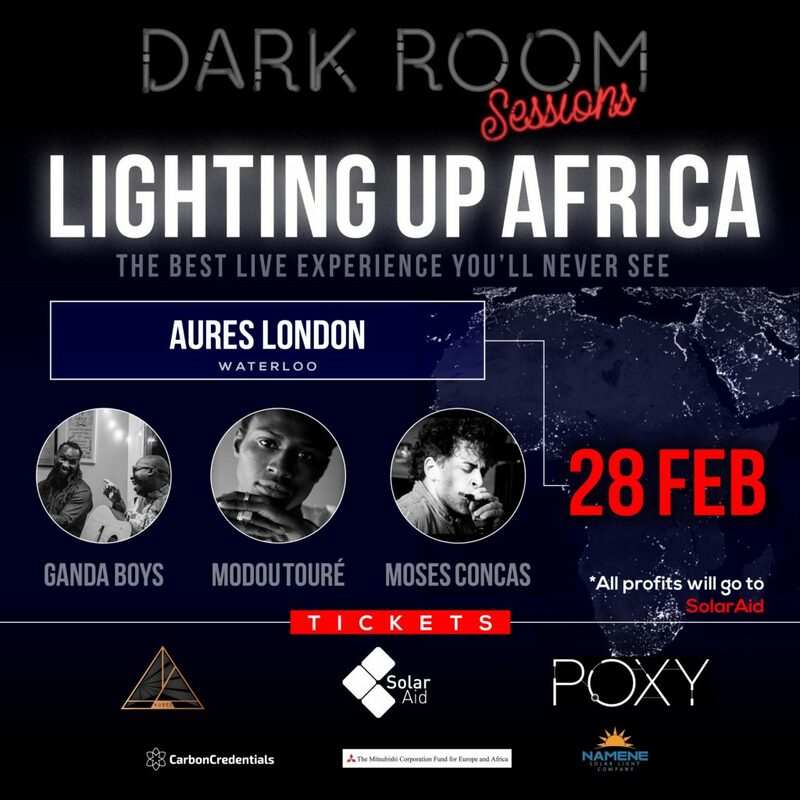 Dark Room Sessions and SolarAid have partnered to bring you live music with a lineup of artists that will take you on an audible journey from East to West Africa and throughout while you are immersed in darkness. 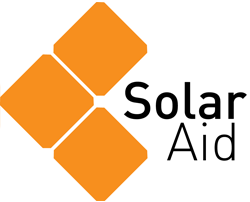 All profits from the concert will go toward empowering local entrepreneurs and designing sustainable programmes that get clean, safe and affordable solar lights to remote communities without access to electricity in Africa. Where: Aures London, located on legendary graffiti site Leake Street, aka Banksy Tunnel, in Waterloo. What: BYOP (Bring your own pillow) as you will be seated on the floor. Drinks and a coat and bag check will be available. 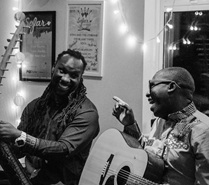 About the artists: Ugandan singers Denis Mugagga and Dan Sewagudde make up The Ganda Boys, an African fusion band. 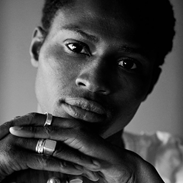 Modou carries us from Dakar to London via Paris and back with a cool mix of afrobeat, afropop, blues and folk. 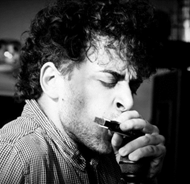 Moses Concas is a harmonica beat-boxer with a unique style that is a result of a lifetime of musical influence. *This event is sponsored by MCFEA, Carbon Credentials, Namene and Poxy.